I propose to you the rental of a confortable villa situated near de sea and beaches in the South of Portugal in Algarve near the town of Albufeira . This private property of 6480m² have a garden of more than 4500m² with flowers ,trees and 2000m² of glass all around the villa. 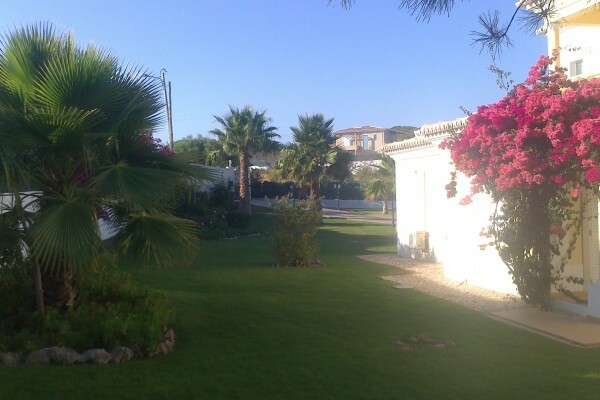 The villa is protected by an alarm and situated at 10 minutes walk from the sea and beaches. Beach 900m-restaurant 300m-Albufeira at 5km. Within the low season there is the possibility to rent the rooms individualy. Bedroom 1 : composed of a bed for 2 persons-double bed (2m x 1.40m) and a private bathroom of 8m² with buble bath.There is no way out- air cond.-area of 15m² + bathroom. Bedroom 2 : composed of 2 bed for one person (twince) 2m x 0,90m private bathroom with shower - there is a french window who give access to the pool and the garden-air condi. area 16m².Bathroom :6m². Bedroom 3 : this room have 20m² it is the 1st master room of the villa-private bathroom (bath) - balcony of 10m² with partial vew over the see also a vew over the garden and the pool, the balcony has a table and 2 chairs. Bedroom 4 : also composed of 2 beds for one persons (twince).Private bathroom with a corner buble bath, the room has air co. and heathing as the others rooms-Acces to a balcony of 10m² there is 2 chairs and a table,there is a vew only over the garden. Area of the room : 16m². Bedroom 5 :That is the 2d Master room of the villa with 20m² like the others there is a balcony with 2 chairs and a table there is a partial vew over the sea and beautifull vew over the land,garden and the pool.The private bathroom has a bath. Bedroom 1 : 70 euros. Bedroom 2 : 65 euros. Bedroom 3 : 75 euros.Master Room. Bedroom 4 : 65 euros. Bedroom 5 : 75 euro.Master Room. Breakfast and gov. taxes of 6% included. From 01/11/2014 to 31/03/2015 : 990 euros. From 01/04/2015 to 30/04/2015 : 1250 euros. From 01/05/2015 to 31/05/2015 : 1500 euros. From 01/06/2015 to 15/06/2015 : 1850 euros. From 15/06/2015 to 30/06/2015 : 2000 euros. From 01/07/2015 to 31/08/2015 : 2850 euros. From 01/09/2015 to 15/09/2015 : 2500 euros . From 15/09/2015 to 30/09/2015 : 1850 euro . From 01/10/2015 to 31/10/2015 : 1250 euros . 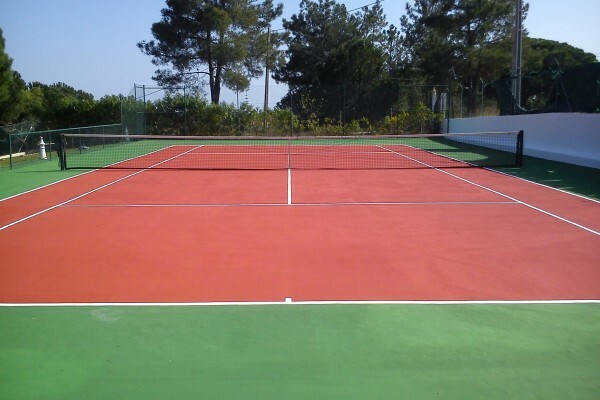 Washing,sheets,hand towel,wi-fi,all taxes,full access to the tenis court and the pool,private welcome all is inclusive in the price. Payment transfer to the count number IBAN. Yes the breakfast is included. Yer there is a WI-FI. The password will be comunicated at your arrival. No experiences yet with Solar Das Flores. Be the first! Did you stay in Solar Das Flores? Let us know what you thought about it and help others to make the right choice! * I confirm having stayed in Solar Das Flores. 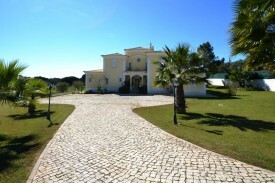 Find other bed & breakfasts in Albufeira or all bed & breakfasts in Algarve.